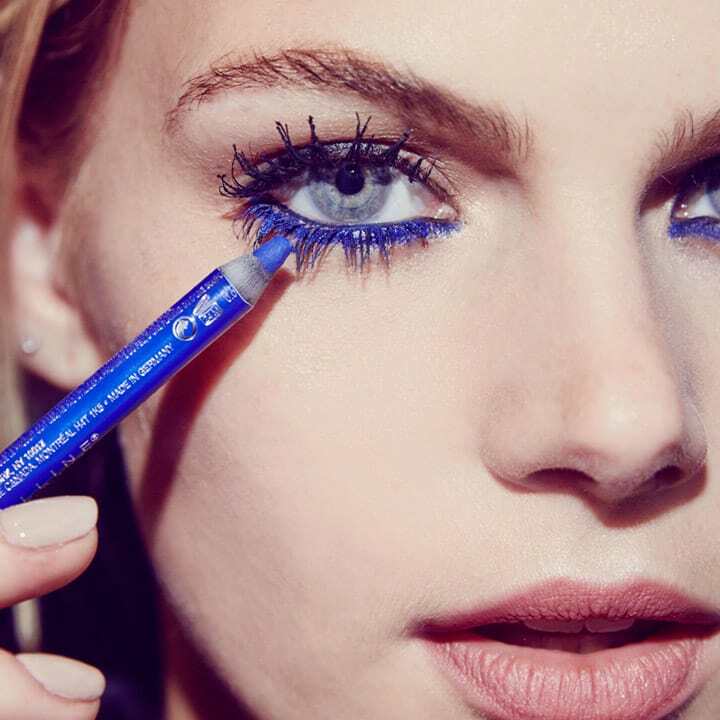 To be glam doll this spring you may want to experiment with something fun with your eyes by adding blue eye liner, blue mascara, blue kajal or even blue shadow. 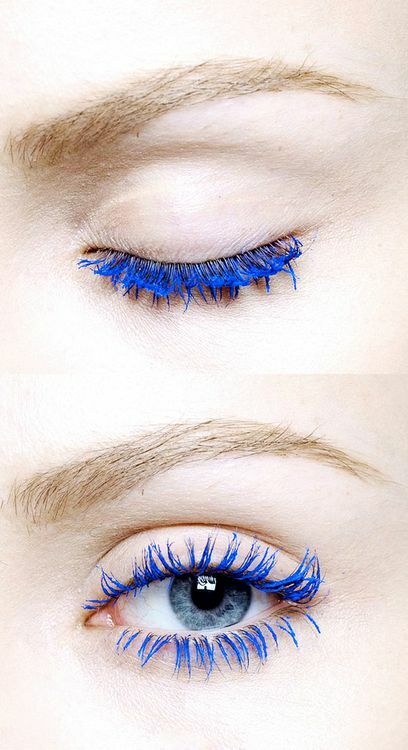 So lot of girls are hesitant to use blue for their eye makeup but let me tell you the blues are back with much exciting ideas and can actually make your eyes standout. 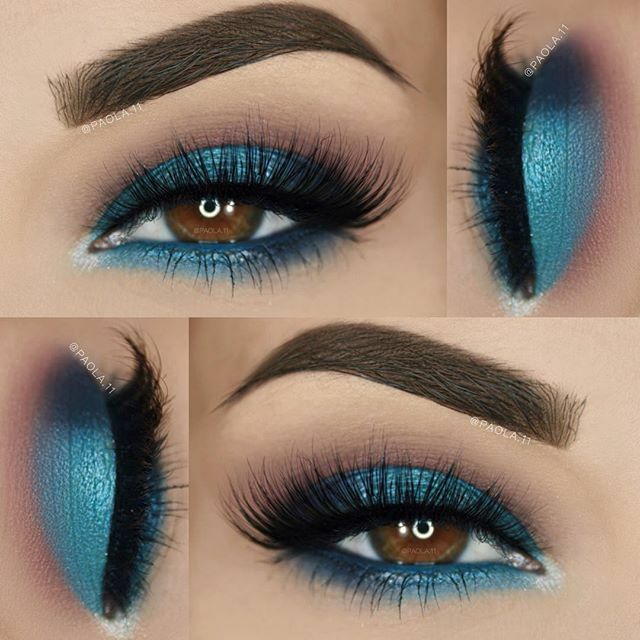 We have hunt some ideas of how you can apply blues to your eyes and can actually wonderful and more trendy. 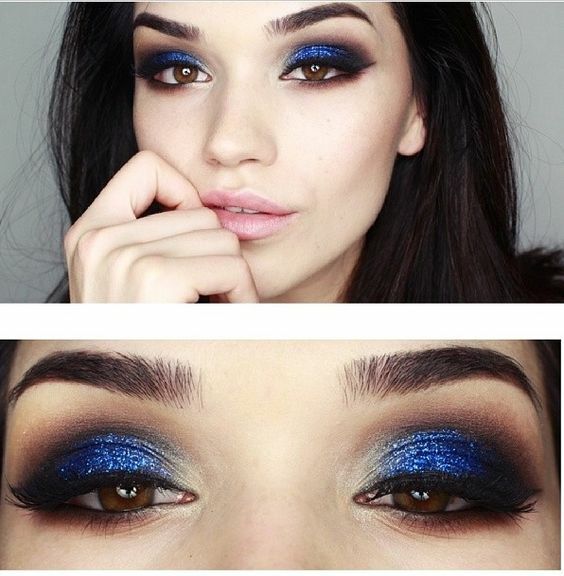 Smokey Blue: This look completely makes us fall in love, you must have seen smokey black or smokey browns but this smoked blue just takes away the lead. 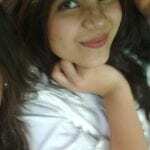 It is perfect for day to night event. Blue Lids (Up and down): And blue shadow all over along with some art on the lower lash line looks perfect for spring festival and looks chic aswell. Blue Kajal: Applying blue eye liner in your lower lash line brings extravaganza look to your face, with some fox eye lashes and shaggy brows the blue kajal actually mesmerize the entire look and is definitely something to be adopted. 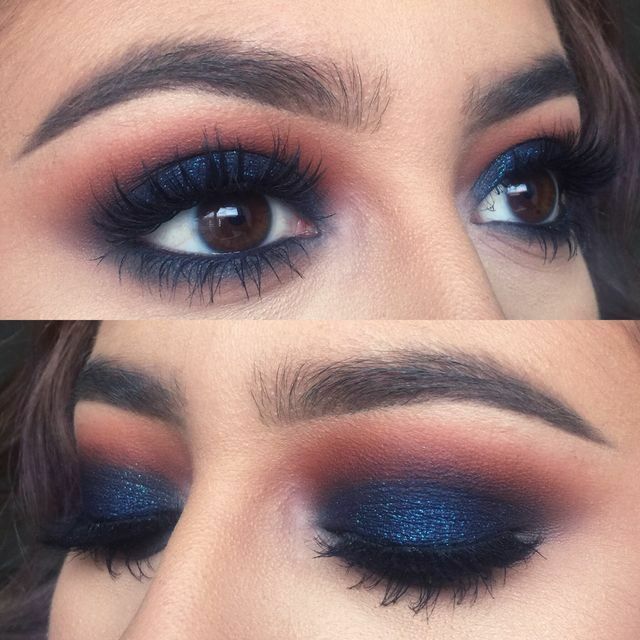 Blue Glitter: This beautiful glittery look is a total night wear and looks gorgeous with the combination of black water line and dark outer Vs. Totally eye popping pigment to show off your eye color. 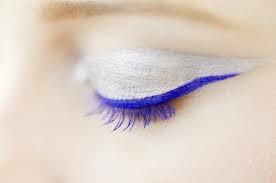 Blue Eye Liner: This gorgeous blue liner will just move heads and drop jaws as the liner enhance and beautify the eyes and brings such intensity that makes your eye colour even more magnificent.